Charming newer construction 3 bedroom 2.5 bath home now available on Lookout Mountain. Open concept living and master bedroom on the main level. Upstairs you have 2 bedrooms, full bath and a cozy sitting area at the top of the stairs. Enjoy your morning cup of coffee on the covered front port and evenings on the back deck or around the fire pit. There is a good sized out building that is perfect for storage or gardening and yard tools. Current owners have recently leveled the back yard and installed a privacy fence. They have also repainted almost all surfaces in the house as well as a recent upstairs bathroom upgrade. This move in ready home is situated on a little over 1/2 an acre. 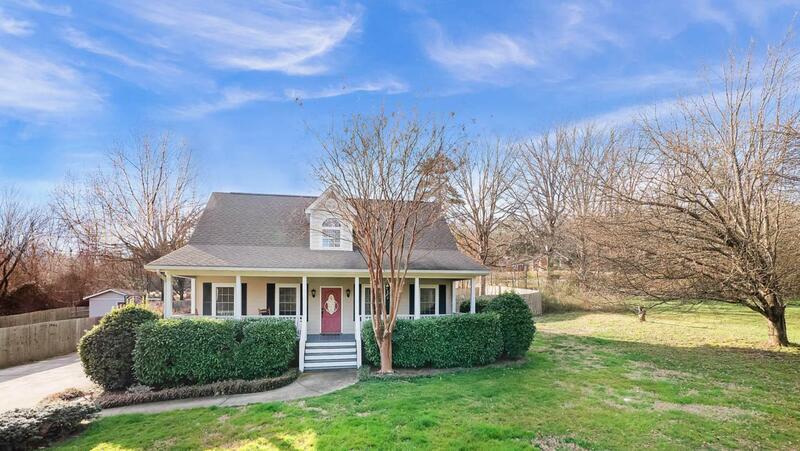 It is close to Lula Lake, Covenant College and Thrive Community. Also zoned for Fairyland School!